The Toyota Highlander was a trailblazer from its debut on the automotive scene, as one of the first true crossover vehicles. But don’t think for a second that that means the Highlander has let others surpass it. With Toyota’s commitment to exceeding drivers’ expectations, the Highlander has continuously evolved over time to stay on the cutting edge. The 2019 Highlander continues to go above and beyond to provide loyal fans and new shoppers alike with everything that they want and need out of their SUVs. Comfort, space, safety, technology, and more infuse the latest Highlander model with everything it needs to impress people shopping for a well-rounded, value-loaded SUV. And considering how crowded this particular automotive segment has grown over the years, it’s especially noteworthy that the Highlander continues to stand its ground as one of the best. There are also four additional Highlander Hybrid trims for those who want the eco-friendliness and stellar fuel efficiency of a green vehicle. With so many options to consider when you’re shopping for a 2019 Highlander, it’s good to know you are close by a dealership that specializes in the Toyota brand. At Toyota of DeKalb, our product experts are on hand to help you navigate your options and decide which 2019 Highlander is the right choice for you. The three-row Highlander is exceptionally spacious for passengers and cargo alike. The interior can accommodate up to eight passengers (seven if you opt for the second-row captain’s chairs in lieu of the standard bench seat), and the seats themselves are comfortable and supportive. There is an extensive selection of cutting-edge technology features enhancing everything from entertainment and connectivity to convenience and comfort. And because safety is paramount for the Toyota brand, they have included standard Toyota Safety Sense P in the 2019 Highlander. This package of smart safety and driver assistance features will give drivers a boost of confidence and keep everyone better protected no matter where the road takes you. The main trims of the 2019 Highlander are powered by a standard 2.7L 4-cylinder engine that gets 185 horsepower. For more muscle, you can upgrade to the available 3.5L V6 that delivers 295 horsepower. Highlander Hybrid models receive a 3.5L V6 hybrid system and an electronically controlled CVT that make a combined 306 horsepower. Why Buy or Lease a Highlander from Toyota of DeKalb? If you’re looking for a great selection, low prices, and unbeatable customer service, you’ll find the perfect combination of all three at our dealership near Naperville, St. Charles, or Elgin, IL. Take some time to browse our fantastic inventory of new Toyotas and high-quality pre-owned vehicles, and then head our way when you’re ready to test drive your top picks. Our friendly associates are standing by to help you find the right vehicle for your needs, preferences, and budget, and then get you the best possible deal on it. 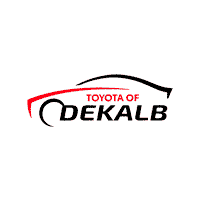 You’ll be happy you found Toyota of DeKalb!